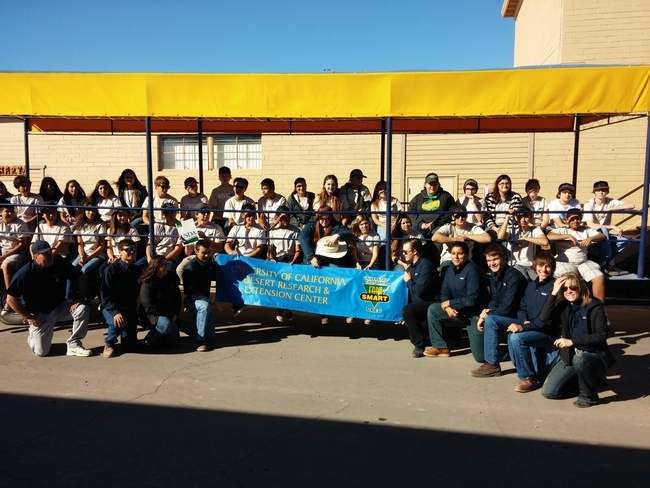 Nearly 250 local high school students from Calexico, Imperial, Southwest, Holtville and Central Union high schools visited UC FARM SMART the first week of November over five separate days. 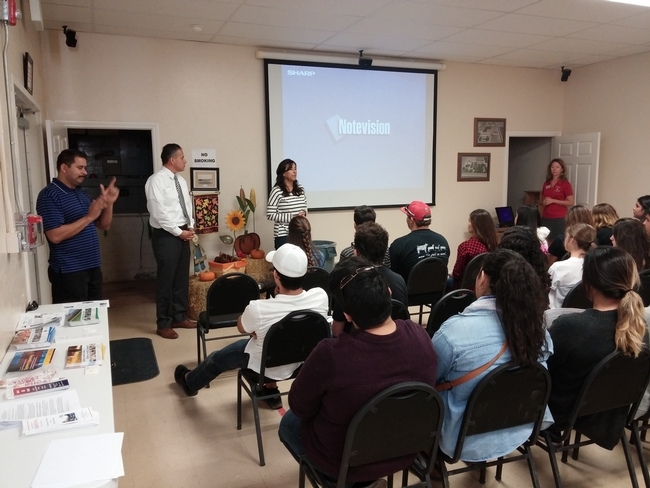 The program was a collaboration between United States Department of Agriculture (USDA) Hispanic Serving Institutions, led by Regional Director Roberto Gonzalez, and the UC FARM SMART Program. The program was titled “Agrilicious Research Days: From Farm to Table”. Presenters from the University of California and the University of Arizona opened the eyes of students to potential careers in agricultural science, veterinary medicine, and more. Tanya Hodges, Academic Programs Coordinator at University of Arizona-Yuma, highlighted options for Imperial Valley students to take courses at Imperial Valley College and receive in-state tuition rates upon transfer to University of Arizona-Yuma. Among the degree programs offered are agriculture technology management and sustainable plant systems/agronomy. Tanya Hodges also promoted the USDA AgDiscovery program, a two-week summer camp for high school students interested in an agricultural career. 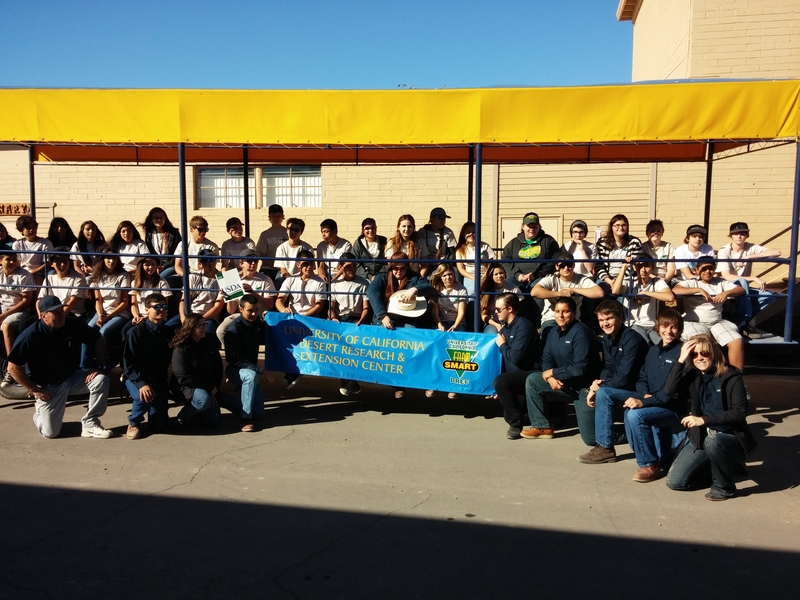 Students were encouraged to make career goals and to consider agricultural careers. UC FARM SMART staff Sam Urie and Stephanie Collins highlighted research being done throughout California and the effects of that research on our daily lives. Students were then given an overview of local farm practices from “farm-to-table” including soil preparation, irrigation, pest management, and harvesting. A highlight of the program included a visit on the last day by Oscar Gonzalez, newly appointed State Executive Director of the USDA Farm Service Agency in California, and Rosa Singh, Executive Director of the USDA Farm Service Agency in Imperial County. Oscar and Rosa encouraged students to take advantage of educational opportunities and Rosa Singh offered information about USDA youth loans for agricultural projects including fair animals. Students boarded hay wagons and were given a tour of the Desert Research and Extension Center including the research feedlot, biofuel experiments, irrigation projects, and the FARM SMART vegetable garden. Each day ended with lunch and the opportunity for students to ask questions about research and agricultural careers.